Further distancing its high fashion DS range from mainstream Citroens, the company has launched a DS Performance Line. Though two of the models can be ordered with the 210PS 1.6 litre petrol motor, the emphasis is more on looks, paint, and materials than on outright performance. Yet none of the DS Performance Line shows a trace of the innovation that left the mouths of the World agape at the first Citroen DS. Citroen states, “The Performance Line features a broad range of high-performance and efficient engines with outstanding torque, ultra-low CO2 emissions and fuel consumption. All these engines feature Stop&Start technology. In fact, they are all standard 1.2, 1.6 and 2.0 litre PSA petrol and diesel engines seen before. 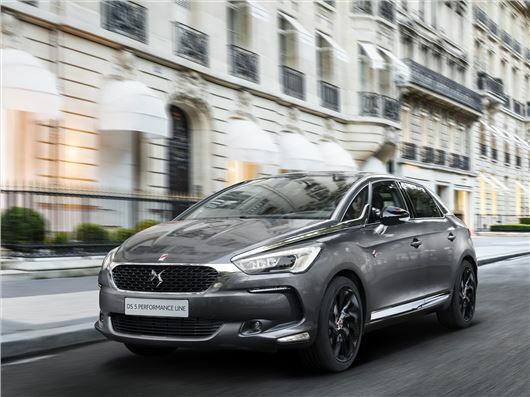 The cars also features “the DS brand’s latest technological developments including a touchscreen, Satellite Navigation, Mirror Screen (MirrorLink® and Apple CarPlay™), and DS connected services with DS Connect Box.” Nothing new there either. It’s all a branding exercise: PSA’s ‘MINI’, with styling, trim and tasty trinkets, designed to appeal to fashionable Parisiennes and wealthy Chinese rather than those who understand and appreciate new vehicle technology. That doesn’t make DS Performance Line bad cars. The fashion conscious will undoubtedly appreciate these high fashion cars. But anyone expecting advanced, groundbreaking, futuristic automobiles or class leading performance needs to look elsewhere.